The aforementioned site is a project I am working on - the brief being to design an agroeco landscape to supply produce for CSA as well as a number of restaurants and hotels. I'm very pleased to be working on this project, bringing ecological design to food production. Georgi Pavlov from Huma was working with me on this fine winter's day, to establish the contour lines of this 5 hectare site. Georgi will also be producing the professional renderings of the final design once completed. 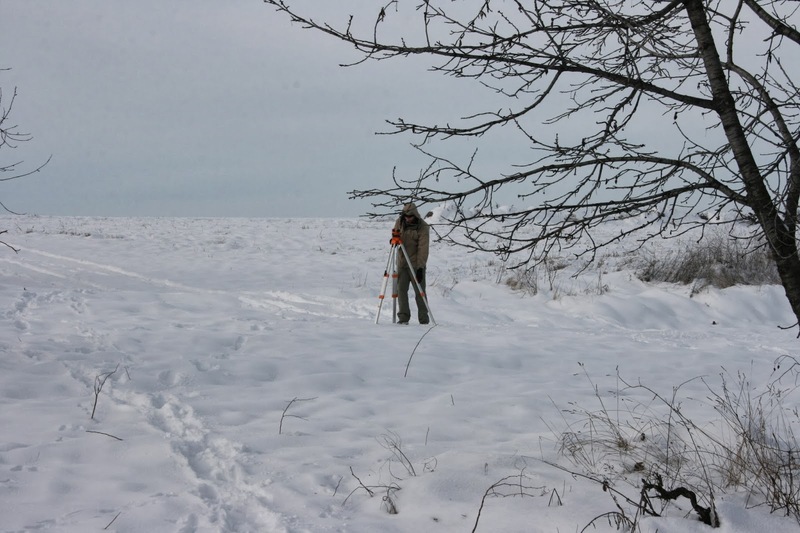 Observing a site with snow cover can provide some useful information. For example, animal tracks are very easy to identify in the snow, brown hare and rabbit tracks were clearly evident across the site, highlighting a potential problem that future young trees may face. Secondly, the way snow is distributed on a landscape can provide an indication of wind patterns. Furthermore, areas where snow drifts are apparent will provide increased insulation to the soil beneath, providing a favorable micro-climate for borderline hardy plants. We pegged out key contour lines across the site, peg spacing approx.15m apart and contour intervals of 3m. 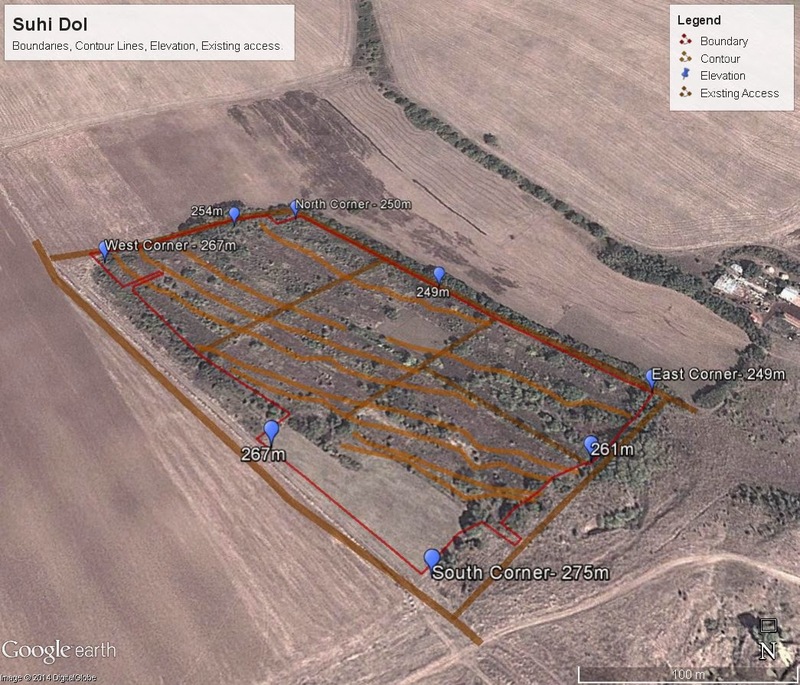 The contour lines will serve as a framework for designing water harvesting land works, access tracks, plough routes and assist in identifying the best locations for ponds/reservoirs. If you would like to create a forest garden and gain some practical hands on experience join us this Spring. We'll be covering site surveying, landscape design software, installing access, beds, irrigation channels, planting tree, shrub, herb and ground layers and making a small wildlife pond. All in 3 days! And plenty of follow up material to take away with you to digest slowly.